Our Premium 2” Wood Blinds are made from the finest basswood and are the perfect treatment for any windows in your home or office. 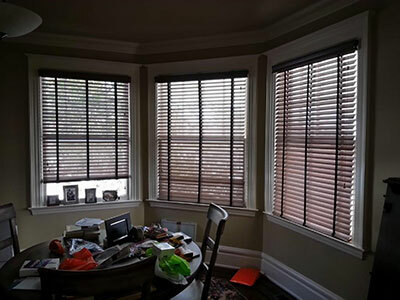 Wood blinds, sometimes called “shutter blinds,” are considered one of the most functional and long-lasting types of window treatments available and these wood blinds come in 17 different colors. They can be fitted to a wide range of different window sizes and come with a 3 inch decorative crown molding valance. 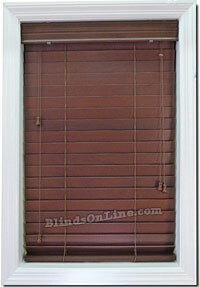 When you order these blinds you will also get all necessary mounting hardware and color coordinated components. Wood blinds give your windows a lovely, natural look. At BlindsOnline.com, we’re committed to providing exquisite products at low market pricing. Our team has comprehensive market experience and understands the trends that bring shoppers to the marketplace. We thrive by offering our customers the best quality, cutting-edge products for their home environments. It’s the reason we’re so proud of our Premium Wood Blinds, which represent the ideal finish for both office spaces and living areas. While we keep prices cost-effective, we’re committed to utilizing the finest quality materials in our products. Our Premium Wood Blinds are manufactured using high-grade kiln-dried basswood, to provide an affordable yet comparable alternative to high-priced products offered by our competitors. And because all our blinds are fabricated in the U.S., clients can depend upon BlindsOnline.com for consistent product quality. Each of our Premium Wood Blinds is supplied with a 2 x 2 1/4 inch corrosion resistant head rail, which is designed to keep the home looking its peak best for many years to come. An advantage of working with BlindsOnline.com is that each of our products is easy-to-install. This means homeowners can achieve their ideal home appearance in mere minutes. It’s a commitment to product convenience that has helped BlindsOnline.com continue to grow in the industry. While corrosion-resistant head rails are included, if you are looking for window treatments for very humid environments, we'd also recommend browsing our faux wood blinds selection. To ensure our Premium Wood Blinds are suitable for all styles of home, we’ve made them available in 17 different colors. This means that, whether homeowners have classic décor or a more contemporary appeal within their property, we can offer quality wood blinds in colors that match their ideal palette. We’ve made our name in the marketplace by offering this level of customization to all our customers. "Great Blinds! Compare to custom at 2x the $$$!" 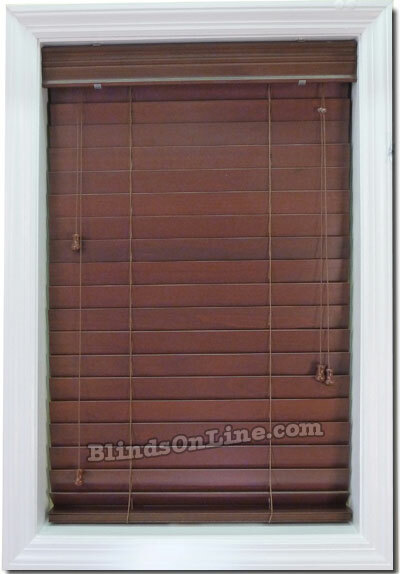 "Beautiful wood blinds; I am going to order more!" "Excellant quality, price, and service."